The Hunting Party is a decent record on its own, but it feels too repetitive, uninspired, and generic to equal its immediate predecessors. Considering that they formed nearly 20 years ago, it's fair to say that the sustained longevity, mystique, and status of Californian sextet Linkin Park is remarkable. After all, countless bands have found incredible success following the release of their debuts, and 2000's Hybrid Theory certainly made Linkin Park a household name; however, few acts have ever maintained the same level of popularity nearly 15 years later. To their credit, though, Linkin Park broke onto the scene with a fairly matchless synthesis of styles, including rock, alternative metal, and rap. Likewise, they've never failed to switch up the formula significantly with each release—that is, until now. On their sixth effort, The Hunting Party, the group emphasizes an old-fashioned approach, with plenty of aggression, dissimilar transitions, and by-the-numbers moments; unfortunately, this results in a collection that's less poignant, prophetic, and anthemic than previous releases, making it a disappointment overall. Vocalist/guitarist Mike Shinoda has stated several times that The Hunting Party is a deliberate attempt to recall the heavier, rockier control of their earlier material (rather than continue with the more electronic soundscapes of their last two LPs). In addition, The Hunting Party represents a reaction to the softer, poppier, and more complacent state of rock music, which Shinoda openly denounces. 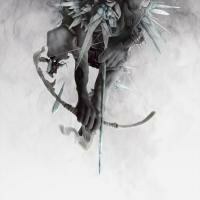 In an interview with Kerrang!, he said that the title was a contextual metaphor for the ways in which Linkin Park is paving their own path in the industry, as well as searching for the soul and bite that rock music used to have. Furthermore, several guest musicians appear on the record, including Rakim, Tom Morello (RATM, Audioslave), and Daron Malakian (System of a Down), although their contributions are negligible, to be honest. Interestingly, guitarist Brad Delson has joked that the disc could be viewed as a prequel to Hybrid Theory, a statement whose connotations are truer and more negative than intended. Because The Hunting Party favors antagonistic distortion and rebellious sentiments over several emblems that demonstrate the growth of modern Linkin Park, it feels like a significant regression. In other words, it feels like an album that should've come before Minutes to Midnight, not several efforts after it. As we've seen time and time again, it's difficult for a band to acceptably backtrack on their evolution. Opener "Keys to the Kingdom" is arguably the most schizophrenic song they've ever recorded, as Chester Bennington's trademark screeches are met with frantic instrumentation, while Shinoda's more expressive vocals are matched by a more atmospheric backing. It's actually an exciting juxtaposition that's made even more dynamic once Shinoda begins rapping (although he's no doubt offered the same phrasing before, so he doesn't sound as distinctive or gripping here as he does on, say, "When They Come for Me", "In the End" or "Lost in the Echo"). In addition, Bennington's proven to be a very emotional and articulate singer, so his outbursts here sound blatantly immature and unnerving by comparison. Still, it's a commendably ambitious way to start things off. Later on, "Guilty All the Same" features an unexpectedly heavy and intricate rhythm during Rakim's rant, but the piece's chorus is uninspired and cookie-cutter; sadly, the same could be said for "Until It's Gone", "Rebellion" and "Mark the Graves" amongst other tracks. It's not that these inclusions are bad; they just feel like repeats of what the group has already done (and done better, to be honest). Meanwhile, the surprisingly punky duo of "War" and "Wastelands" sounds like contemporary Green Day mixed with Metallica, which is a bit odd. Fortunately, "The Summoning" and "Drawbar" invoke some of the farsighted attitudes that their previous few full-lengths captured so well (especially the latter, whose fusion of touching piano progressions, alarming percussion, and dystopia effects result in beautiful chaos). The Hunting Party also concludes with an enjoyably authoritative ballad, "The Final Masquerade", as well as "A Line in the Sand" which attempts to wrap up the record with a philosophical powerhouse (which has become standard fare for the group). Although it suffices, it doesn't feel profound or epic enough to truly satisfy, and it can't hold a candle to hypnotic brilliance of their best closer yet, "The Catalyst". All in all, The Hunting Party is a solid record on its own, but it feels too repetitive, uninspired, and generic to equal its immediate predecessors. It lacks the electrifying catchiness of Midnights to Midnight and even Living Things, let alone the seamless continuity, emotional devastation, and exceptional apocalyptic conceptuality that made A Thousand Suns a work of genius (yes, genius). This record will surely please plenty of Linkin Park fans, but it's hard to deny that it feels less mature and impactful, failing to strive for the same level of infectious melodies, harmonious instrumentation, and poignant social commentary that made previous endeavors soar. In a nutshell, it would be adequate if Linkin Park weren't already capable of better.